Poet Luis Tubens has been working with young people at the Main Library since January 2017. That’s when he became the library’s first artist in residence, consistently drawing lots of middle schoolers to his after-school writing workshops and open mics. 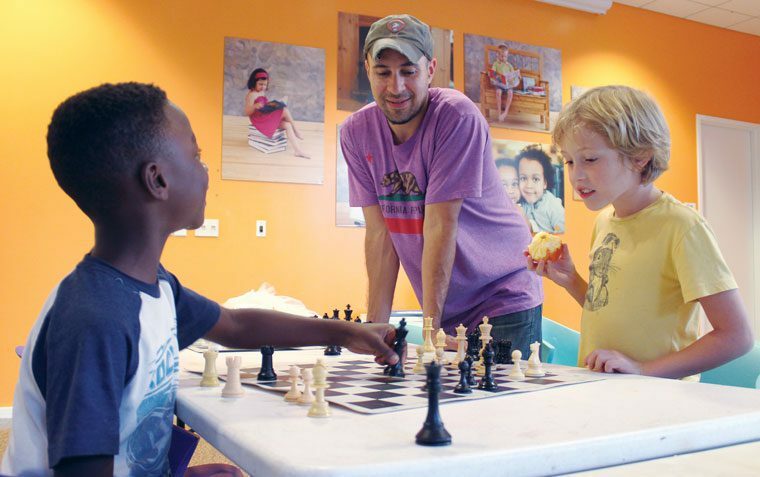 Although his residency ended in summer 2017, Tubens didn’t stop working with kids at the library. Soon after he launched a weekly chess club for kids ages 5-13. Kyle Netisingha said his daughter Savi, age 7, has been attending for the past year, ever since Tubens encouraged her to join. 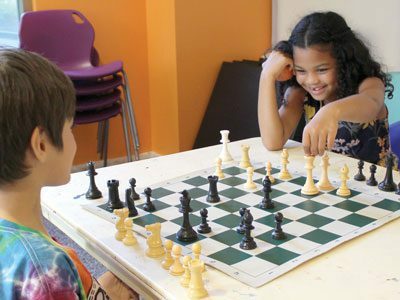 Savi was encouraged to get into chess after watching The Queen of Katwe, a film that depicts the life of a real Ugandan girl who grew up in a slum and became a top chess player (also available in book and audiobook formats). “It’s empowering for young girls,” Netisingha said.